31 Jan 2019 --- Nestlé has acquired a novel technology that will enable it to address iron deficiency, one of the world’s most widespread nutritional deficiencies. The technology, FERRI PRO, was developed to address nutritional iron deficiencies without adversely affecting the taste of food and beverages by researchers at the Riddet Institute Centre of Research Excellence (CoRE), Massey University, New Zealand. “We developed the technology to help to address the world’s most important nutritional deficiency, as over 1.6 billion people are suffering from iron deficiency anemia. However, our goal was to not only address iron deficiency, but to address it without impacting product quality,” says Harjinder Singh, Director of the Institute and distinguished professor, who also led the research team at Massey University. If left untreated, iron deficiency can cause serious mental and physical harm. To help reach vulnerable groups such as school-age children and expectant mothers, Nestlé fortifies affordable foods and beverages, such as condiments and noodles, cereals and children’s milks. The acquisition of this technology will enable it to continue to make progress towards its efforts to reach millions of children and families. “Anemia affects 25-30 percent of the population and about half the cases are due to iron deficiency. Nestlé are in an unparalleled position to fortify foods with FERRI PRO to enhance the health and well-being of millions of people,” Massey University Vice-Chancellor Professor Jan Thomas says. The commercialization and technology transfer reportedly takes place via Massey Ventures, a fully owned subsidiary of Massey University, which manages the University’s commercial investments. “At Nestlé, we believe that we have a key role to play in support of global efforts to tackle the global burden of micronutrient deficiencies. Through this collaboration with Massey University, we will have access to an innovative technology that enables us to effectively fortify our foods and beverages without compromising the quality and taste,” said Petra Klassen Wigger, Head of Nutrition, Health and Wellness at Nestlé Research. 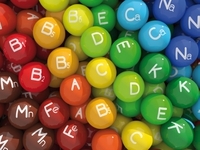 Micronutrient deficiencies can lead to health impairment and, according to the Food and Agriculture Organization (FAO), costs society up to US$2.1 trillion every year. Although food fortification is no silver bullet for eradicating malnutrition, it has been touted as cost-effective and does not require any radical changes.